Dejero enhances GateWay for NAB 2019! With access to reliable connectivity becoming increasingly critical for contribution and distribution, Dejero adds new features to the GateWay solution, including reliable connectivity on any type of IP connection plus faster file transfer methods! By blending together multiple connections – such as cellular, satellite and other wireless technologies – the Dejero GateWay solution offers high-bandwidth connectivity. It creates higher throughput and greater reliability over a secure connection. GateWay provides the extra bandwidth necessary for field crews to quickly upload and download large files on location as well as access newsroom and MAM systems, cloud services, and private networks remotely, all because of increased access to reliable internet connectivity. At NAB 2019, Dejero will also explain how GateWay can be used as part of a disaster recovery plan providing backup connectivity, plus other broadcast and media use cases that solve first-mile/last-mile connectivity challenges. Visit Dejero at booth C2025 of NAB 2019! http://tevios.eu/wp-content/uploads/2015/03/Dejero-sq.png 202 202 admin http://tevios.eu/wp-content/uploads/2014/07/TEVIOS-RVB-white-Green.png admin2019-04-04 13:28:522019-03-27 23:42:07Dejero enhances GateWay for NAB 2019! Dejero unveils new developments to Dejero Control! Dejero Control, a cloud-based management system providing broadcasters with the ability to centrally manage ingests, manage content routing and distribution, monitor and manage field and data center equipment, and view analytics and reports that help manage data usage and costs, is rolling out new features at NAB 2019. 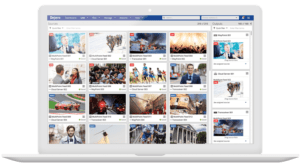 These new features include roaming management and automated and customizable metadata, allowing metadata to automatically be added to video files at the time of ingest. With this feature, clips are easy to find during editing and MAM workflows. The new Find a Provider functionality allows organizations to quickly and easily find freelancers and other service providers to cover live events and breaking news stories around the world. To witness these new developments firsthand, visit Dejero at booth C2025. http://tevios.eu/wp-content/uploads/2015/03/Dejero-sq.png 202 202 admin http://tevios.eu/wp-content/uploads/2014/07/TEVIOS-RVB-white-Green.png admin2019-04-02 13:14:152019-03-27 23:40:55Dejero unveils new developments to Dejero Control! The Craltech 4craft is a compact (1 RU) 4K Multiviewer offering a high quality image processing engine with a low processing delay. The modular design allows the 4craft to create custom solutions with up to 16 (3G/HD/SD SDI) inputs, up to 4 (3G/HD/SD SDI) outputs, and 1 HDMI 4K output. It also displays all inputs on-screen simultaneously in any size and position. Up to 6 layouts can be stored in the Craltech 4craft. 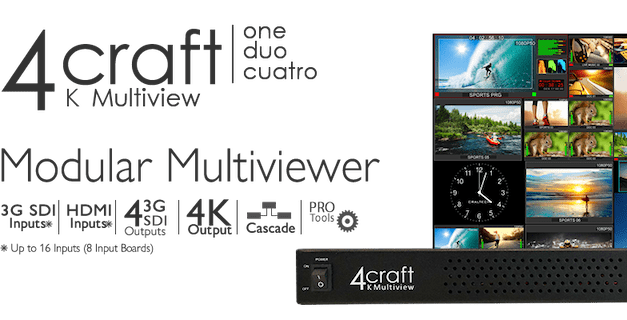 An easy to use multiviewer with dual functionality front keyboard and encoder, the 4craft allows for quick control and fast configuration. Furthermore, with its compact and lightweight 1 RU aluminium design, the 4craft is fanless and energy-efficient, maintaining a low temperature while working. New EnGo mobile transmitter to be showcased by Dejero! 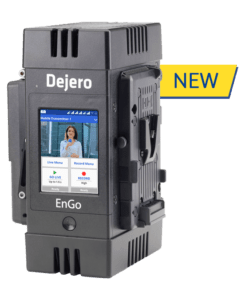 Dejero is showcasing its latest EnGo mobile transmitter with unique content adaptive encoding at NAB 2019 booth C2025. The EnGo 1.3 mobile transmitter features more processing power in order to deliver unique content adaptive encoding and HEVC compression. Dejero EnGo encoding, unlike other field transmitters, automatically adapts to content complexity while it is captured and supports up to 20 Mb/s bitrate for live transmissions and 1080p 50/60 – ideal for sports transmissions. Through HEVC compression, Dejero has further enhanced its auto-transport and adaptive bitrate encoding technology, offering higher picture quality in a wider variety of scenarios. http://tevios.eu/wp-content/uploads/2015/03/Dejero-sq.png 202 202 admin http://tevios.eu/wp-content/uploads/2014/07/TEVIOS-RVB-white-Green.png admin2019-03-27 23:39:472019-03-28 22:30:54New EnGo mobile transmitter to be showcased by Dejero! At this year’s NAB Show, LYNX Technik AG® will be launching a static HDR/SDR Converter for its greenMachine processing platform. The greenMachine Static HDR provides a powerful conversion and processing tool that will ensure the rich and high dynamic range imagery and enhanced color gamut captured by HDR cameras gets successfully delivered to the viewing audience. HDR (High Dynamic Range) is important in today’s modern workflow as it offers viewers enhanced contrast and increased brightness plus more vibrant color, creating a superior image to current standard HD and 4K UHD signals. Not only does the greenMachine HDR static conversion solution provide this enhanced viewing experience, it also allows users to mix SDR and HDR production in a single real-time workflow. Through sophisticated algorithms and the automated application of color and contrast corrections, the adaptive and universal greenMachine HDR Converter supports real-time static HDR conversion between SDR and HDR, HDR and SDR, and between different HDR standards delivering greatly enhanced images. 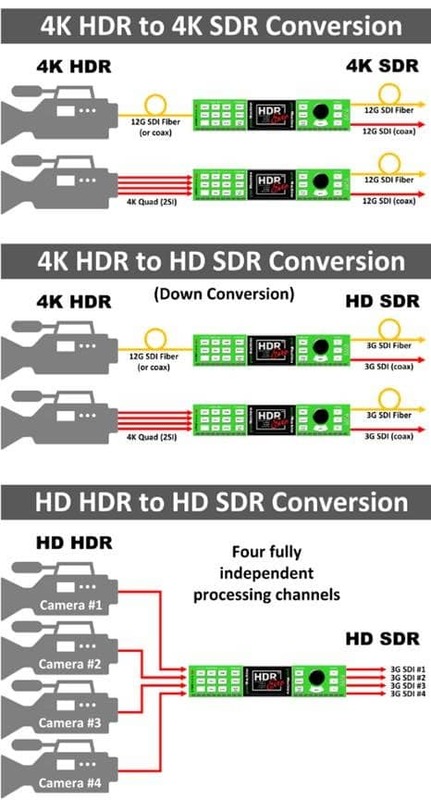 The greenMachine HDR Converter operates in both single channel (12G SDI 4K UHD) and 4-channel mode (3G SDI 1080p). Furthermore, it provides video frame synchronization, full audio support and 4K/UHD up/down conversion with cross-conversion also being available in the 4K single channel mode. The included CustomControl software driven by the greenGUI interface offers a simplified control interface and all color and contrast parameters in the HDR conversion process. greenMachine HDR is compatible with greenMachine titan 4-channel hardware and, like all greenMachine Constellations (configurations) can be controlled and monitored remotely via third party master control software. The greenMachine allows users to pick a configuration based on their immediate application and requirements. Users can try out the flexibility and beauty of the greenMachine HDR Converter experience themselves by installing all fully functional Constellations on their greenMachine, or by visiting LYNX Technik at booth N2827 at NAB 2019. PHABRIX to showcase toolset for SDI interface stress testing! PHABRIX demonstrates the Qx Series’ new SDI-STRESS option at NAB 2019 booth N4508. The SDI-STRESS option provides an advanced toolset for SDI interface stress testing. 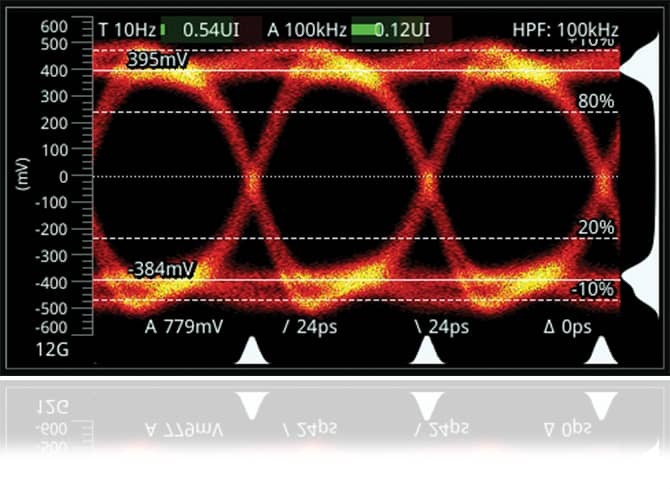 Alongside the automated 12G-SDI physical layer analysis employing RTE™ (Real-Time Eye) technology, the SDI-STRESS creates a world-class solution to SMPTE compliance verification of 12G/4x3G/2x6G/6G/3G/HD-SDI interfaces. 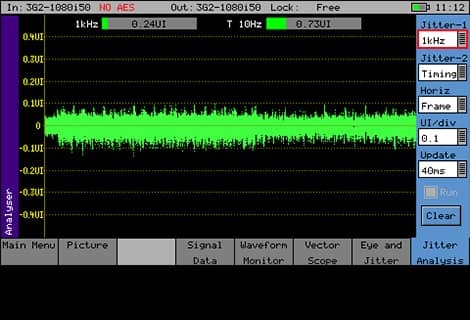 The SDI-STRESS toolset includes full and windowed eye amplitude histograms with Peak or Mean measurement of eye amplitude. 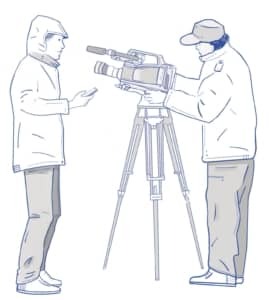 Additionally, it includes SDI jitter insertion (10Hz to 10MHz, 0.01UI to 16UI), eye amplitude adjustment (+/-10%), risetime, pre-emphasis, signal invert and mute controls operating with the video pattern generator with pathological overlay as source or a new PRBS Signal Generator (PRBS7, 9, 15, 23, 31), coupled with a new BERT Analyzer tool. A new Pathological EQ/PLL condition detector with realtime trigger over GPI out is also provided all under REST API control. http://tevios.eu/wp-content/uploads/2015/01/PHABRIX_logo.jpg 180 180 admin http://tevios.eu/wp-content/uploads/2014/07/TEVIOS-RVB-white-Green.png admin2019-03-27 20:29:562019-03-28 22:46:03PHABRIX to showcase toolset for SDI interface stress testing! Rohde & Schwarz to feature Prismon multiviewer & audio/video monitoring solution! The Rohde & Schwarz Prismon is a versatile, innovative software-based solution for monitoring and multi viewing of audio/video content. 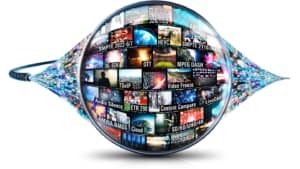 Supporting the present and future plethora of standards for content transport and media formats in both legacy and modern IP-based environments, Prismon provides a comprehensive set of protocols for OTT/streaming scenarios. The Prismon offers multi-standard/multi-protocol support providing unmatched versatility for ASI, (3G-)SDI, SMPTE 2022-1/2, SMPTE 2022-6/7, SMPTE 2110-20/21/30/40, AIMS, AMWA NMOS, OTT multiprotocol suite, DVB. It also offers a multi-application approach for A/V monitoring in playout/contribution and distribution environments on a single platform. A low latency multiviewer solution for IP-based studio/production/playout environments is another key feature of the R&S Prismon, as is its fully software-defined solution for future-proof extensibility. The Prismon provides a cloud-enabled platform and orchestration-ready design for flexible and dynamic allocation of monitoring capacity. Visit Rohde & Schwarz at NAB 2019 booth SL6405. http://tevios.eu/wp-content/uploads/2019/03/Rohde-Shwarz-logo-square.jpg 300 300 admin http://tevios.eu/wp-content/uploads/2014/07/TEVIOS-RVB-white-Green.png admin2019-03-27 12:09:092019-03-27 12:09:11Rohde & Schwarz to feature Prismon multiviewer & audio/video monitoring solution! 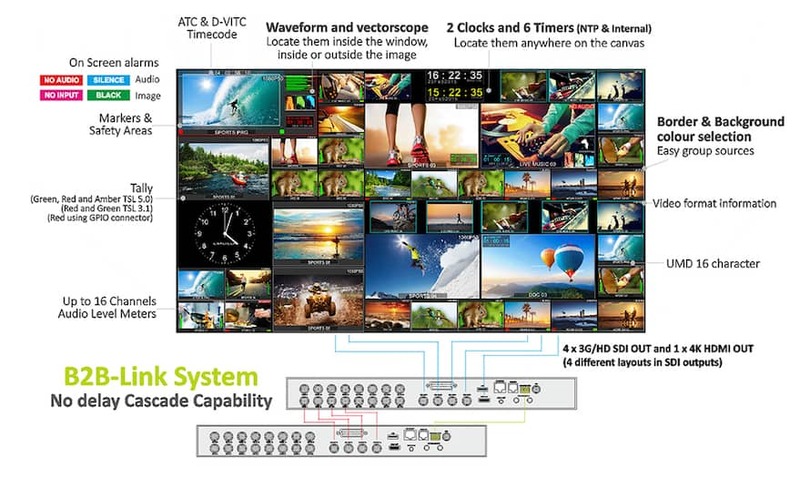 SAPEC to launch additional channels for multi-encoder platform “Laguna” at NAB 2019! SAPEC’s software defined multi-encoder platform Laguna offers up to 8x HD H.264/MPEG2 channels and up to 4x HD HEVC channels. 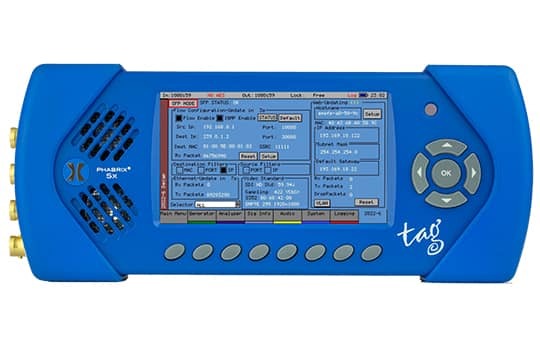 Additionally, Laguna includes an internal multiplexer for MPTS output as well as the possibility to include satellite modulator (typically for 2 or 3 channels). Other platform highlights include a software upgrade from H.264 to HVEC, simultaneous outputs (RF, ASI and IP), DVB-ASI and IP outputs (RTP/UDP with FEC SMPTE) and 1 + 1 and N + 1 functionality without external servers. Up to 8 embedded audio pairs (stereo) per video input and redundant hot swappable power supply unit (AD/DC) as well as logo insertion capabilities in any video source (Sw License) are also key features of Laguna. A variety of configurations is available based on specific applications that address compression standard, number of channels and bit rate, and need for satellite output or ASI/IP. Laguna, with up to 3 channels, an integrated modulator and an internal multiplexer, is currently commercially available. Launching on April 19th for NAB, Laguna will be offering additional channels. Visit their booth SU12710 to discover more. http://tevios.eu/wp-content/uploads/2014/08/Sapec-e1407879006819.png 139 130 admin http://tevios.eu/wp-content/uploads/2014/07/TEVIOS-RVB-white-Green.png admin2019-03-22 17:50:562019-03-27 11:56:13SAPEC to launch additional channels for multi-encoder platform "Laguna" at NAB 2019! 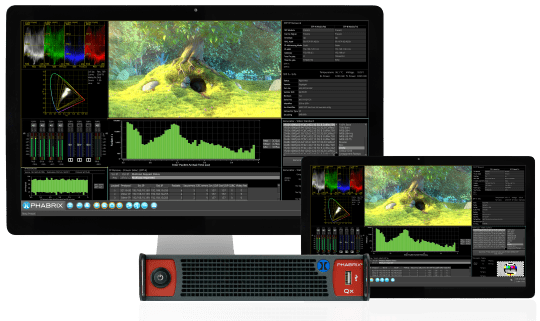 At this year’s NAB Show, Phabrix will launch a V3.0 software release for its Qx rasterizer, which offers the latest hybrid IP/SDI test and measurement tools. The Qx now supports SMPTE 2110 (-20, -30, -31, -40), ST 2059 Precision Time protocol (PTP) and two-port ST 2022-7 seamless protection. It also provides simultaneous monitoring of 1 video, 2 audio – supporting up to 16 channels each at 1ms and 125us with either PCM or AES3 Transport – and 1 ANC data flow for up to 16 active, scalable windows. The newest features include operator status information for PTP, 2022-7 seamless reconstruction and the timing relationship of flows to PTP. In its upcoming release and demonstration at NAB, the Qx ST 2110 advanced engineering features include the measurement of ST 2110-21 network compatibility and virtual receiver buffer models, advanced PTP to Flow Timing data view, as well as Inter-Packet Arrival Times for all flows contributing to the ST 2022-7 seamless reconstruction. The Qx rasterizer, alongside PHABRIX’s handheld Sx TAG provides a solution for hybrid IP/SDI environments. Sx TAG offers support for SMPTE 2110 (-20, -30, -40) encapsulation and decapsulation with ST 2059 PTP. The new features include SDI to IP and IP to SDI gateways for both ST 2110 and ST 2022-6, plus the ability to generate an analog reference output slaved to the ST 2059 PTP or 2022-6 IP input. Visit PHABRIX at NAB 2019 booth N4508.